Gaza destruction is one of many in an array of desperate measures to inject legitimacy into anti-Syria-Iran campaign ahead of final push. Even as nations like Turkey, Qatar, and Egypt protest the Western-backed and facilitated destruction of Gaza by Israel, they, along with these very Western nations they protest, including Israel, continue coordinating efforts with each other to topple and destroy Syria. Weapons and aid that many Arabs would like to see sent to defend Gaza, are instead in the hands of terrorists killing fellow Arabs across the Levant in the pursuit of long-ago articulated US-Israeli-Saudi plans to reshape the Middle East for their collective hegemonic ambitions. In fact, the Israeli attack on Gaza – an otherwise fruitless adventure assured to end in either an embarrassing early ceasefire for Israel, or another 2006 Lebanon-style strategic defeat – is designed to give Turkey, Qatar, Egypt, and others across the region currently working with the US, UK, EU, and Israel to destroy Syria, a renewed sense of legitimacy in the eyes of the Muslim World. Not only are Muslim nations that are in league with the West benefiting from this “legitimacy windfall,” so are international institutions like Amnesty International and Human Rights Watch. The reputations of both have suffered for consistently backing and defending terrorists operating inside Syria as the general public increasingly becomes aware of the atrocities they are committing and their true, sectarian motivations. The nebulous Anonymous group, which has also lent tremendous support for Western-backed terrorists operating in Syria, has also used the Israeli-Gaza conflict to continue casting doubt as to where their real loyalty lies. The attack is one of many stunts playing out this month to strengthen the faltering, stalled campaign to implement long-planned Western-backed regime change in Syria – a plot aimed ultimately at the subsequent destruction of Iran. Another ploy has been the US handpicking a so-called “Syrian opposition council” (and here) at a meeting in Doha, the capital of the despotic monarchical regime of Qatar. The opposition council is merely window dressing for a network of terrorists directly linked to Al Qaeda, funded and armed by the West since 2007, to violently overthrow the Syrian government. The council represents a collage of ineffectual, long-time servants of Western interests, rejected both within and beyond Syria’s borders. This would include an announcement from France by President François Hollande, who is facing all time low approval ratings for the blatant and continual betrayal of his campaign promises, which included withdrawing from, not accelerating, foreign entanglements. It remains to be seen what legitimacy Hollande can offer the council, when he himself faces a crisis of legitimacy in his own office. Similar announcements have been made, piecemeal for dramatic drawn out effect, by the EU and the UK. This strategy mirrors regime change efforts aimed at Libya, which has left the nation decimated through a combination of NATO bombardment, sectarian genocide, tribal warfare, and the country in the hands of a clearly servile Western-client regime and terrorists hailing from the Libyan Islamic Fighting Group (LIFG), one of the most notorious and prolific wings of Al Qaeda in the Arab World. LIFG is now currently, with NATO aid, flooding arms, cash, and militants into Syria. Treason Unfolds in Doha, Qatar. That Doha, Qatar hosted the creation of this so-called “Syrian” opposition council is truly telling. While Qatar feigns indignation over the recent Israeli assault on Gaza, the despotic nation actually hosts the US corporate-funded think tank, the Brookings Institution, and its Doha and Saban policy centers (many of Saban Center’s “fellows” and “directors” are based in Doha, Qatar, with the Doha Center itself funded by the State of Qatar). The Saban Center has been responsible for the “Which Path to Persia?” report, a self-indicting manifesto aimed at achieving Western hegemony across the Middle East, using both the US and Israel as a medium to do so – and by specifically attacking, subverting, and destroying both Syria and Iran. 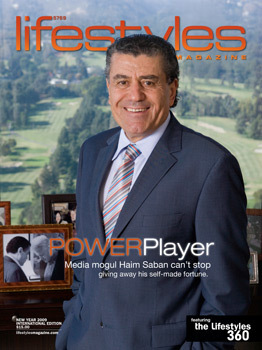 The Saban Center was founded and named after Haim Saban, an Israeli-American media mogul and businessman ranked by Forbes as the 134th richest person in America. For Qatar to host such a collection of policy makers within its own capital, the very people manipulating both sides of a purposefully perpetuated conflict shamelessly admitted to be seeking the reassertion of Western interests across the region, goes far in explaining why the unelected, ruler-for-life, Sheik of Qatar can only muster harsh words for Israel’s current assault on Gaza. Two Qatar Air Force fighter jets and a cargo aircraft were heading to Crete on Tuesday in the first sign of military operations by Qatar so far to help enforce a no—fly zone over Libya, officials said. Qatar is secretly supplying anti-tank weapons to the Libyan rebels as part of its strategy of working to overthrow the Gaddafi regime, it has emerged. Officials in Doha confirmed that the Gulf state’s military had been shipping French-made Milan missiles to the rebel stronghold of Benghazi. Turkey’s Leadership Brings Nation to the Brink for Western Hegemony. 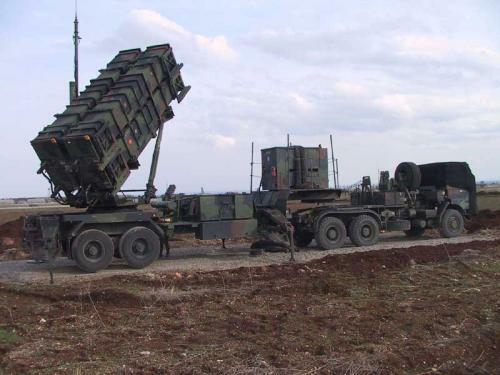 Turkey is implicated by the above mentioned Saban Center itself, as a necessary component in joint Turkish-Israeli cooperation to press Syria’s borders to trigger dissent amongst Syria’s military ranks. Turkish leaders have clearly spent much time fabricating various excuses to meet Washington’s demands in this regard by fabricating or taking advantage of violence Turkey itself is fostering along its own border with Syria. Israel has also begun putting pressure onto Syria’s borders near the Golan Heights – in a verbatim manifestation of the Brookings-Saban Center plan. Like Qatar, Turkey’s leadership sheds crocodile tears for Gaza, while explicitly coordinating with Israel versus Syria, based on the Doha-based Saban Center’s plans. As the US-Israeli-Saudi co-conspirators of Qatar, Turkey, Egypt, and others rack up anti-Israeli rhetorical points during the latest Israeli-Gaza conflict, they continue quietly collaborating with both the West and Israel against Syria. As the West attempts to prop up their newly reconstituted “opposition council” while galvanizing Qatari-Saudi-Egyptian backed sectarian extremists with over-the-top Israeli provocations, the stage is set for a final push against Syria. But while the West continues to posture and manipulate regional perceptions, Western aggression is already reaching its operational limits – and while it could embark upon a wider, more overt military confrontation with Syria, should both the Syrian people and Syria’s allies remain committed to the defense of the nation’s sovereignty, not only will this aggression fail, it will create momentum that will roll the West and its extraterritorial interests back significantly, if not entirely. Unity is still Syria’s only option.